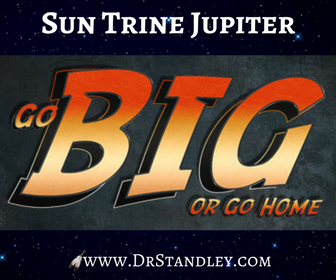 The BIG NEWS today is The Sun in Cancer trine Jupiter in Scorpio, which says, "GO BIG OR GO HOME!" Next to the Sun conjunct Jupiter, this is THE SECOND BEST aspect in the whole astrological deck. This aspect is lucky, it is fortunate, it has a massive ego and it doesn't know how to do anything small, tiny, halfway, a little bit or kinda. This aspect does not try or attempt. It does it! This aspect isn't a 'maybe', it's a sure 'sure thing'. It's obvious that action is taken with this aspect because it only knows how to do things BIG! And yes, Love him or loathe him, President Trump has this aspect in his natal chart. Think about how BIG the ego has to be with this aspect. The Sun trine Jupiter has the confidence to do things that others only think about doing, much less dream about doing. This aspect does not take a backseat, it takes a front seat and drives. This aspect knows that there are too many people out there waiting (on something), so while they are waiting, this aspect is shifting gears, doubling down and pulling ahead. SEE YA! When the Sun trine Jupiter arrives on the scene and walks through the door, everyone knows it. Imagine if the Sun and Jupiter walked through the door together, it would be like a huge sunburst walking through the door and it would blind you, because remember, Jupiter E-X-P-A-N-D-S whatever it touches, and in this case, it is touching the Sun. Now imagine a little ol' baby lunar aspect walking through the door like the last aspect today being the Moon trine Mercury. Folks, I want you to know this . . if you remember nothing else about this aspect, then know this . . this aspect ALWAYS lands on its feet and will ALWAYS get its own way. It just does! Even if right now it doesn't look like it, it will get its own way. So I'm telling you this, if you think President Trump is not going to get his way, guess again. You can yell, curse and throw rocks all you want, but this aspect will win. And this aspect has the patience to get its own way. When a throw-down occurs, this aspect will win. In fact, the more you yell, curse and throw rocks, the more yelling, cursing and rocks will be thrown back at you. Not just a little, it will be a lot, because this aspect does nothing small, it's all BIG. And remember, the ego, personality and identity are e-x-p-a-n-d-e-d as well. So when you use this aspect to get the job done, you have the ego, personality and identity supporting you to handle the task at hand. There's no doubt about it, Love him or loathe him, President Trump uses his ego, personality, identity and brand (Trump) to support his goals, ambitions and intentions (Jupiter). IT'S ON! This Sun trine Jupiter aspect does not know how to lose or give up. In fact, it will take 'whatever' all the way to the SUPREME COURT. Watch and learn folks! This trine is ALWAYS positive and ONLY seeks the best outcome. It is ALWAYS looking on the brighter side, even when everyone else has lost all hope, this aspect can hold the vision. This aspect can see the positive outcome that no one else saw coming or even considered, especially since so many people find it easier to focus on the negative. 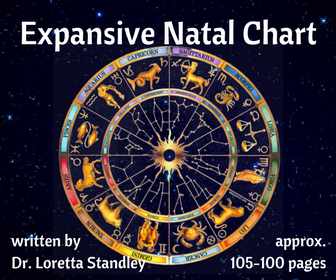 The Sun is naturally ruled by charismatic and enthusiastic Leo, while Jupiter is naturally ruled by happy-go-lucky, optimistic and wanderlust Sagittarius. 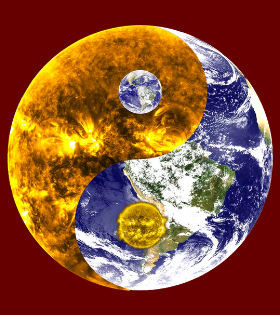 No matter what Sun Sign you plop these two planets together in a trine, it is still awesome energy, although if they are in fire signs, they would take on a fiery qualities of their natural state. But still, the fact that they are trine together under any circumstances means they are taking on the fiery qualities of their natural state. President Trump has his trine in the air signs as he is a Sun in Gemini with a trine to Jupiter in Libra, which is JUSTICE JUSTICE JUSTICE. This is why he is not afraid to deal with the DOJ (Department of Justice), Robert Mueller, the Supreme Court, etc. This is his jam folks. He is in his zone. This is where he will WIN the most. So the more he goes to the Supreme Court, the more he wins, so he is thinking, BRING IT ON! Guess what planet rules the Supreme Court? JUPITER! And he has Jupiter in Libra in his natal chart. Libra rules the scales of justice. So again, if you can't stand reading this and now you can't stand me, then click away because President Trump will get his way. Remember when President Trump said, "We are going to win so much that you are going to get tired of winning!" Well, that is his Sun Trine Jupiter talking and it will win because it doesn't know how to lose. Remember, this aspect is like the cat that always lands on all fours. It just is! 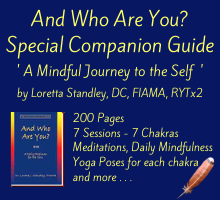 So how do YOU use this 'astrological magic' and get your own way? You choose to enjoy the confidence that this aspect brings. You choose to be optimistic. You choose to embrace abundance instead of lack. You use affirmations and prayer to brainwash yourself into thinking more positively and to ONLY CONSIDER positive outcomes. Guess who was President Trump's pastor when he was growing up? Norman Vincent Peale, who wrote the book, 'The Power of Positive Thinking'. And guess who else has the Sun trine Jupiter? That's right, Norman Vincent Peale, who has the same trine as President Trump, which is the Sun in Gemini trine Jupiter in Libra. This energy cannot hide because it is too BIG not to be seen. This Light cannot hide under a bushel because it is too brilliant. Maybe you should consider reading 'The Power of Positive Thinking'. I read this book back in my mid-teens, but of course I would be drawn to this book because I too have the Sun trine Jupiter in my chart. I'm a GO BIG OR GO HOME type of gal. I am a brainwashed positive thinker by nature and reinforced with affirmations and prayer. We Sun trine Jupiter people laugh in the face of others negativity, doubt, fear and skepticism. 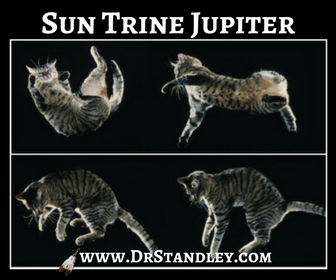 While others are twisted in doubt and fear, we Sun trine Jupiter people step on the gas. SEE YA! There's more energy where that came from! When people point at our big ego and criticize it, we don't care. We, meaning, those of us with the Sun trine Jupiter. We just push further down on the gas pedal. SEE YA! So if you do not have this aspect in your natal chart, you can still embrace this aspect. Know that you cannot hide your brilliance (shine) either. You can try, but it will come out and the Light will be cast on you and you will be called to do your service, calling or job. For those who have this aspect in their natal chart (like Myself, President Trump and Norman Vincent Peale) this energy will never be put out, even after our passing, this Light will shine on due to our impact on others and the world. By the way, Jupiter is the globe-trotter and global impactor. It is also important to know that this aspect rarely goes without the comforts in Life and will always live on the nicer end of the spectrum. So while this aspect is showing up for you as a transit, take advantage of opportunities around you. The Universe is seeking to bless everyone, but only a handful will recognize the opportunity that this aspect brings and take advantage of it. Those of us who have this natally, we are always ready to take advantage of opportunity. Someone's failure to reach out and grab their opportunity, is an opportunity for someone who already 'has', to reach out and have even more. Folks, it is just the way it is. It is this same reasoning why I offer to take phone calls on the fly because I know, the majority of people will not grab an opportunity or see the opportunity. In this way I can stay 'open'. President Trump uses this same maneuver. He's available and will give you an audience with him (meeting) but many have already decided that they will 'not' go to the White House and meet with him before they were even invited (Lindsay Vonn). So many people who 'could have' a meeting to air their differences or engage in a productive discussion to 'make a difference' choose not to and they blow an opportunity. That just blows my mind! I still can hardly believe that, but I deal with the same thing when people do not make a phone call to gain clarity on their chart. Something so simple and people choose to look over such an opportunity. 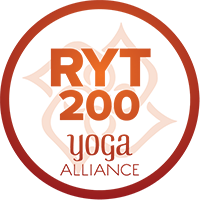 This Sun trine Jupiter aspect also forgives and forgets and moves on. Remember Nikki Haley could not stand 'Candidate Trump' in the election process and ended up becoming the United States Ambassador to the United Nations. Remember, Nikki Haley sided with Marco Rubio, but she still became a rising star and that's because President Trump's Sun trine Jupiter simply moved on. He had BIGGER fish to fry. 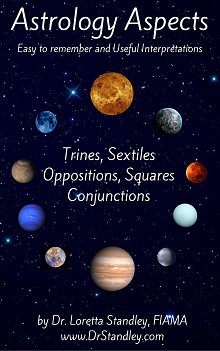 This Sun trine Jupiter aspect does not hold hard feelings. All of the rocks and words thrown are water under the bridge. Folks, you can use this aspect too in the same ways. You can WIN, you can get ahead, you can be positive, you can be lucky, if you embrace this aspect. 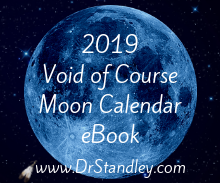 I can go on and on about this aspect, and there is more to read in my Astrology Aspect eBook. This aspect began in applying degrees on June 27th, it is exact today, and it will last until July 14th. As with anything in Life, "Use it or Lose it!" Go BIG, or go home. 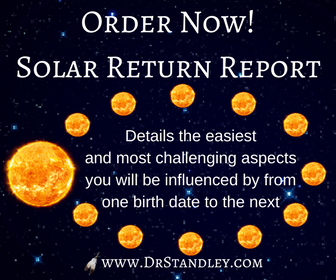 This aspect will be present in the Solar Return's of those whose birth dates fall in between these dates this year. Yay for you! 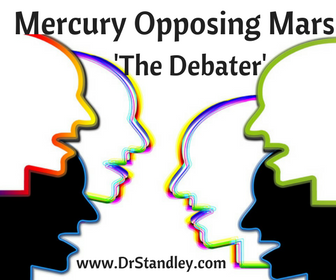 The other major aspect occurring today is Mercury opposes Mars, which is the aspect of the debater. So here's what will be interesting. There will be debaters, who will miss out on this ENTIRE awesome aspect, because they are too busy being haters. This isn't a political statement folks. Remove from your mind President Trump and his Sun trine Jupiter aspect. Remove from your mind Norman Vincent Peale and his Sun trine Jupiter aspect. You can even remove ME from your mind and my wonderful Sun trine Jupiter aspect. And you will still be left with today's Sun trine Jupiter aspect. There will be those who are so far bent on hating and complaining about Life (without having any politics involved) that they will miss this opportunity. Some people are just so skeptical and pessimistic, who just want to be naysers or debate the negative side of Life, that they cannot see the abundance and opportunity right in front of them. But then there are those like me with this aspect or those who SEE this aspect today who get, the get, and grab the opportunity! As with anything else in Life, use it or lose it. Download the 'Sun Trine Jupiter' chart wheel here! Download the 'Mercury Opposing Mars' chart wheel here! The Sun in Cancer trine Jupiter in Scorpio at exactly 7:04 AM EDT. This energy began in applying (approaching degrees) on June 27th, it is exact today, and it will last until July 14th. Mercury in Leo opposing Mars in Aquarius at exactly 7:49 AM EDT. 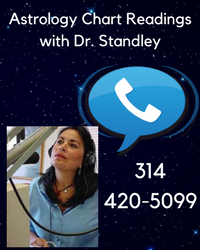 This energy began in applying (approaching degrees) on June 30th, it is exact today, and it will last until July 9th. The Moon in Aries square Saturn in Capricorn at exactly 10:56 AM EDT. You will feel this energy within 12-14 hours 'before and after' it occurs. The Moon in Aries sextile Mars in Aquarius at exactly 5:29 PM EDT. You will feel this energy within 12-14 hours 'before and after' it occurs. 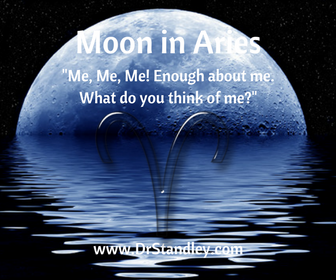 The Moon in Aries trine Mercury in Leo at exactly 6:38 PM EDT. You will feel this energy within 12-14 hours 'before and after' it occurs.